The first makeup brush I ever owned was a Real Techniques brush. From the first use, I was hooked. I had previously been applying foundation (and powder somehow!) with my fingers. I was amazed by the coverage I could get with a brush and how evenly it went on. Soon after that, the brush section decided to fully detach itself from the handle and this led me to discover Eco Tools as I tried to replace it. Despite how much I loved Real Techniques, the fact that it broke so easily - and so soon after I had bought it - put me off repurchasing and I was keen to try a brush that was better for the environment. I absolutely loved the powder brush by Eco Tools but that is the only brush in their collection that I was fully sold on. So, desperate to find a decent application tool, I branched out into beauty blenders. And I was impressed. I felt airbrushed and my base was completely streak free. The only slight issue I had was with my eyes. I couldn't manage to get even coverage around my eyes and the bridge of my nose. That is when I was saved. And this hero comes in the form of a vegan, cruelty free brush collection from a brand called Nanshy. Their brushes applied my base just as evenly as the Real Techniques brush had but they are definitely more sturdy. But the best part of the collection was definitely the concealer brush*. The density of the brush is perfect and it is just the right size and shape to get into all the nooks and crannies around my eyes that the beauty blender just couldn't reach. I am absolutely sold on these brushes. 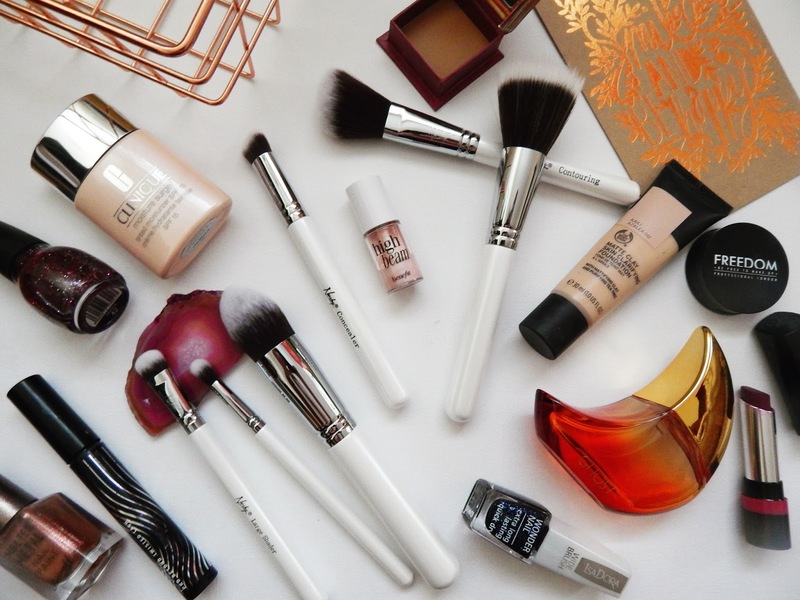 Although I still use a beauty blender for my foundation and the Eco Tools brush for the powder, I have incorporated these brushes into my daily routine for everything else. I use the foundation brush* to apply my primer as it helps to spread it evenly across every area of my face. I use the concealer brush* for - you guessed it - my concealer and I love how it is able to reach into the places the beauty blender wouldn't be able to. I also use that brush to touch up my foundation around those areas too. I also love the contouring brush* as the angle helps you to get a really sharp edge on your contour. The only brush in the collection I am not completely sold on is the stippling brush. I find the brush density a little sparse - I like a thick brush - and it doesn't leave my base as even as I would like. But I can absolutely rave about the concealer brush which is incredible and I will never part with it. Have you tried anything by Nanshy? This is so good to know. These are the brands that everyone needs to know to help animals and the environment in a way too. Ah, what a good replacement for Real Techniques brushes. I’ll need to check these out! I've only had a beauty blender from Nanshy, these sound great! These brushes look great! 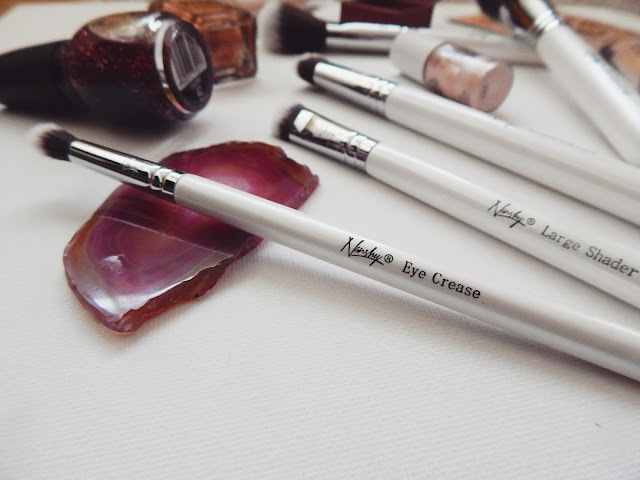 I love discovering new brush brands, especially cruelty free ones.